Amazon's Alexa is doing her part to ease income inequality in America. Thanks to her, middle-class families—not just the 1 percenters—can afford butlers. Need someone to turn off the lights? Ask Alexa, Amazon's Cloud-based personal assistant. She'll take care of it as long as you've connected an Amazon Echo, Dot or other Alexa-enabled product to your Wi-Fi network. Need someone to lock the doors? Ask Alexa. Turn on the ceiling fan? Just ask. Change the thermostat setting to 72°? Close the garage door? Arm the security system? Water the lawn for 15 minutes? Lower the shades? Pre-heat the oven to 350°? Turn on the window air conditioner? Turn on the ceiling fan? Feed the fish? "Alexa, turn on the living room table lamp"
"Alexa, dim the dining room lights to 50%." "Alexa, set the fan to 75%." Say "Alexa, good night," and she'll run around the house to turn off some lights, dim other lights, lock the doors, arm the security system, and close the garage door. And by saying, "Alexa, turn on movie time," your AI assistant will dim the lights in the living room, lower the blinds, adjust the thermostat, turn on the TV, and select Netflix. All this is possible because more than 50 companies have tapped into Amazon's Cloud-based Alexa Voice Service since the summer of 2015 to enable natural-language voice control of their smart-home and other consumer electronics products. That's on top of the more than 3,000 other Cloud-based "skills" that you can activate by issuing a voice command from across the room to the far-field microphones built into the $179.99 Amazon Echo and $49.99 Echo Dot Wi-Fi/Bluetooth speakers. By enabling these skills, you can select and play various music-streaming services, order an Uber ride, order Domino's pizza, get news and sports scores, get a weather report, check lottery numbers and bank-account summaries, create shopping lists, check personal calendars, get traffic reports, read e-books aloud, and even ask Alexa to translate words into other languages. Most people buy Amazon's Echo and Dot to stream music services from the Cloud or stream music from a Bluetooth-equipped mobile device. Same for Amazon's battery-powered $129.99 Tap speaker, which has to be tapped before it listens for voice commands. Some owners, however, are also using Alexa to control smart-home products, said Futuresource Consulting, the research and consulting company. "Consumers are generally using it for audio playback," analyst Jack Wetherill told GearBrain. But "some owners are already relying on these speakers to alert them if there is a ring on the door bell or to turn on/off an appliance or the lights." The ways that consumers use the speakers "will develop as consumers learn the capabilities of Alexa – and as those capabilities grow," Wetherill adds. A recent consumer survey by research company Consumer Intelligence Research Partners (CIRP) found that almost 20% of Echo purchasers in 2015 used the Echo to control one or more smart-home products. Only the Echo was available during the surveyed period. Alexa controls Lutron's Caseta Wireless DIY in-wall dimmers and plug-in lamp dimmers through a Caseta bridge, and she converses with Lutron's custom-installed HomeWorks QS and RadioRA 2 lighting-control systems. Although smart-home products can already be controlled conveniently from a smartphone or tablet, Alexa's supporters see voice control as a supplemental control method that's useful in many circumstances. Consumers cooking in the kitchen, for example, could use their voice to turn on lights or lock the doors rather than grease up a smartphone touchscreen or wall-mounted light switch, says Neil Orchowski, Lutron's product development manager for strategic alliances. People carrying groceries or infants could use voice control to turn on the lights when they're entering the house without reaching for the wall switch or fumbling for a phone. 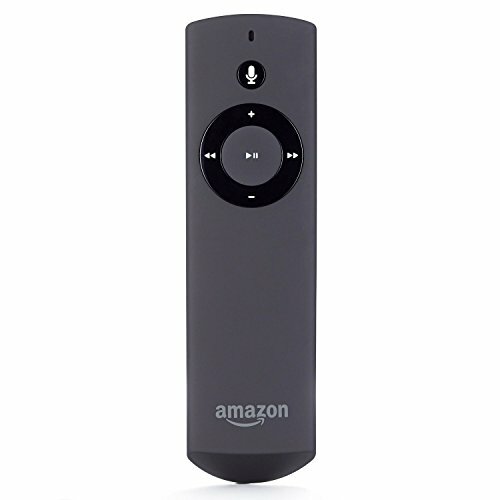 To enable home-wide voice control, Orchowski sees consumers using a full-size Echo speaker in their main living space, supplemented in other rooms by the tiny hockey-puck-shaped Dots, which are only 1.3-inches-tall and 3.3 inches in diameter. Alexa controls any device connected to a custom-installed Control4 smart-home system, including security panels and home entertainment systems. For smart-home adopters, the brands that integrate with Alexa read like a who's who of smart-home suppliers. Suppliers of Alexa-compatible smart-home hubs include HomeSeer, Ingersoll Rand's Nexia, Insteon, Logitech Harmony, MyFox, Samsung SmartThings, and Wink. Control4, which sells custom-installed smart-home systems, recently added Alexa voice control, as have ADT, Alarm.com, and Vivint, the suppliers of professionally installed security and smart-home systems. Lighting-control company Lutron Electronics integrated Alexa with its custom-installed HomeWorks QS and RadioRA 2 lighting-control systems to control lights, shades and select thermostats throughout the house. Other companies in bed with Alexa include Abode, MyFox, and Scout Alarm, the suppliers of DIY security systems sold with professional monitoring services. In addition, multiple brands of smart plugs, in-wall dimmer switches, smart bulbs, thermostats, and door locks are also happy to be bossed around by Alexa. 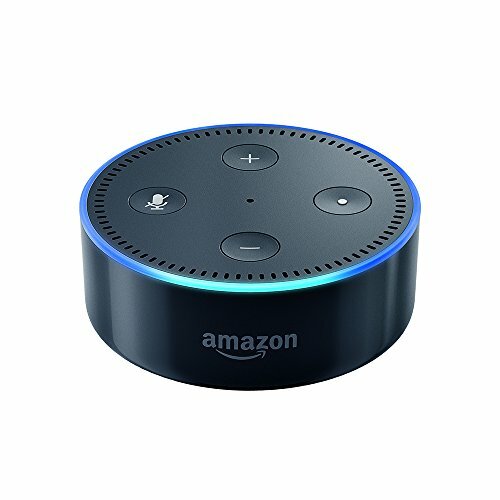 To talk with Alexa, some must be connected to an Alexa-enabled smart-home hub, custom-installed home-automation system, or security panel that controls multiple brands of smart-home products. Smart-plug suppliers include Belkin's WeMo, iDevices, iHome, D-Link, HomeSeer, Insteon, Leviton, SmartThings, and Schlage. Suppliers of Alexa-compatible smart bulbs or in-wall dimmer switches include Belkin WeMo, HomeSeer, Insteon, Leviton, Lifx, Lutron, Sylvania Lightify, Philips Hue, Stack Labs, and TP-Link. And thermostats that are smart enough to hold a conversation with Alexa include models from Carrier, ecobee, Emerson Electric's Sensi, Honeywell, iDevices, Insteon, Nest, Schneider Electric, Tado, Trane, and Venstar. Door locks can also be controlled via Alexa, but for now, most will talk with Alexa only through an Alexa-enabled hub, security panel, or custom-installed home-automation system. One exception is August. Samsung's SmartThings smart-home hub lets Alexa control lights, smart plugs and thermostats but not smart door locks, garage-door openers, or security systems. Select refrigerators, dishwashers, washers and dryers also get along with Alexa. Tell Alexa to preheat a Wi-Fi-connected oven from GE to 350°, set the cook timer, or set the convection-oven feature to roast or bake. Ask a connected GE dishwasher when it will finish cleaning the dishes, ask the washer if the laundry is done, and tell the dryer to keep tumbling. Ask the refrigerator to make hot water for tea, or ask Alexa to check the status of the water filter or set refrigerator and freezer temperatures. Samsung also offers a host of Wi-Fi-connected appliances that talk with Alexa. And Frigidaire offers a Wi-Fi window air conditioner that talks to Alexa. Though a growing number of products converse with Alexa through Amazon's speakers, some products have bigger vocabularies than others. With a custom-installed Control4 smart-home system, for example, you can use Alexa to control any device connected to it, including security panels, door locks, garage-door openers, and home entertainment systems. Control4 also lets Alexa activate "scenes," or a preprogrammed group of activities. Alexa, for example, will simultaneously turn off lights, lock doors and arm the security system when you're ready for bed. Smart-home systems built around Nexia's Z-Wave hub, or "bridge," let Alexa control connected lights, thermostats, and smart plugs but not door locks. For its part, Samsung's Alexa-enabled SmartThings hub uses Alexa to control only select types of products, such as lights, smart plugs and thermostats. Through the SmartThings hub, Alexa doesn't control connected door locks, garage-door openers, and security products. Vivint's smart-home and security systems are a little more talkative. Alexa will control all products in a Vivint smart-home system, including locks, garage doors and security system, but she won't make a scene in a Vivint household. 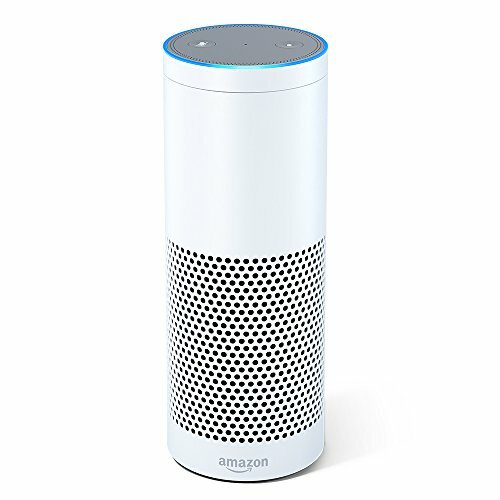 Alexa is also hands-off when it comes to a few other functions. She'll order a door lock to lock, a garage door to close, and a security system to arm, but for security reasons, she usually doesn't unlock doors, open garage doors or disarm security systems. At least two companies, however, are exceptions to that rule: Abode Systems and Scout Alarm. Both offer DIY security and smart-home systems with professional monitoring. Abode lets Alexa unlock doors, open garage doors and arm security systems — but only after the user speaks a PIN code. "We've done this to improve the security of our Alexa integration and make sure that a potential intruder cannot yell through the window, 'Alexa, tell Abode to disarm,'" says Abode product manager Andy Fouse. When an Abode user tells Alexa to disarm the security system, Alexa responds by saying, "Please provide your four-digit PIN code." Alternately, users could say, "Alexa, tell Abode to disarm the system with PIN code XXXX." After an unspecified number of invalid requests, Alexa will ignore additional entreaties. Likewise, Scout alarms can be disarmed by voice after a four-digit PIN code is spoken. 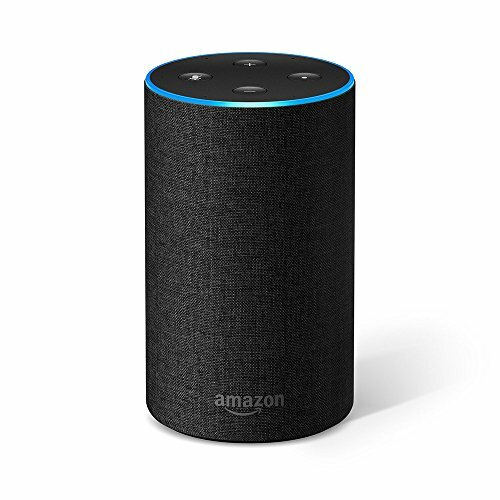 And if you whip up a Cloud-based IFTTT recipe, Alexa unlocks door locks and opens garage doors connected to a Scout system after she hears your PIN code. Unlike many people, Alexa listens carefully and chooses her responses carefully.